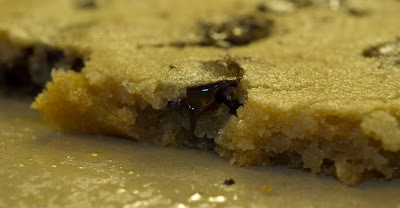 Here is the cookie that Kathy was expecting with the last post titled Cookies!. Fast Jason made us a cookie with about a 12" diameter. It was delicious!! That's the size of those pizza cookies that we had to sell for Little League. It looks delicious.